SCOTT CAMPBELL Remarque Original Sketch BLACK CAT The Amazing Spider-Man. 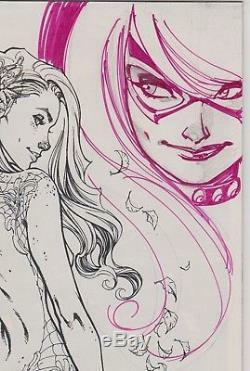 Marvel The Amazing Spider-Man Renew Your Vows #1 with Remarque (remarked) original 1/1 art on the cover of Black Cat. The Black Cat is one of JSCs most popular characters making this a truly collectible item for the ages! Comic is in NM/MT condition or better! _gsrx_vers_841 GS 7.0.16 (841).